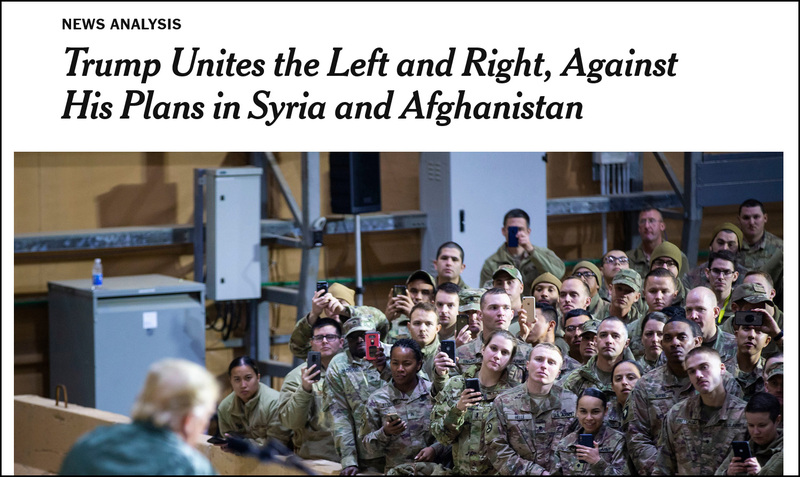 Trump Wants Out of Syria and Afghanistan. Take the Deal. Amazing. The “blob,” as Obama folks called the foreign policy establishment toward the end of their tenure, is even stupider and more obstinate than I ever would have guessed. Do they all secretly get together and watch Fox News every afternoon, or what? Get. Out. I don’t care if Trump is an idiot or not. If he’s offering the chance to get the hell out of Syria and Afghanistan, tell him he’s a genius and take the deal. Anyone who doesn’t sign on to this loses the privilege of mocking Glenn Greenwald for the rest of their lives. A soldier rose to become a general. His daughter says he abused her for years.